All the Financial Systems run online, which allows you to access any information from anywhere in the world at any given time, as long as you have Internet access. The financial software is divided into modules, which can be used as stand alone or an integrated Financial System, making the Intranet modules cost effective. We are continuously adding more modules to our Financial Systems. Below is a list of modules we currently have available and working on. If you don't see the intranet software you are looking for, please contact us to discuss the possibility of creating a custom system for your company. To view the module, click on the module name link. Intoweb’s Asset management software allows for the tracking and recording and reporting of assets, as well as assisting in asset value and appreciation. Also known as the "procure - to - pay" system, the Intoweb financial requisition system manages and records the procurement needs of your company. Create departmental budgets for the company, prevent over spending and coordinate company spendging. 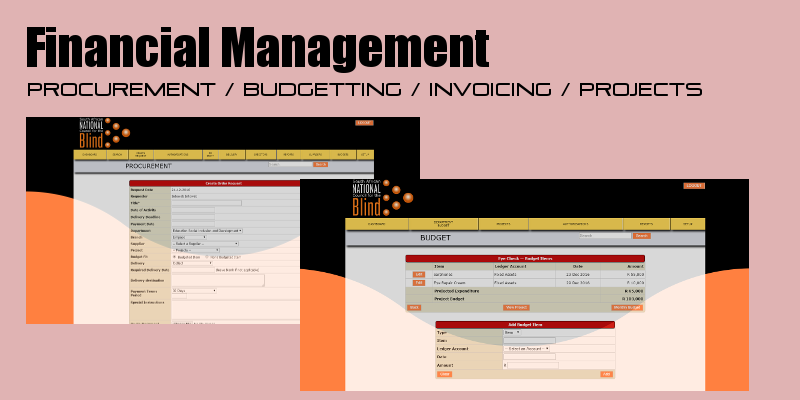 The budgetting software is used in conjunction with the procurement and other financial systems. The Bank reconciliation software takes the output from the South African online banking systems and can be used to automatically reconcile each item to corresponding information in other systems and databases. The data migration software extracts data from multiple data beases which can either be inserted into the new database, or exported as a CSV / excel file. Record your supplier database, suppliers can be categorised into active or inactive, with the information being saved. Suppliers can be loaded according to branches and departments. Use the Quote and Proposal software to generate pre-populated quotes and proposals for the user's products. Quotes / proposals are generated in PDF format allowing for editing before authorisation, but not after. Authorised quotes can no longer be edited with new information. Quotes can be sent to contacts directly. The invoices are created online, and are generated on a template for your company. Invoices can be emailed directly to the client. They can log in and view all their invoices at any time. 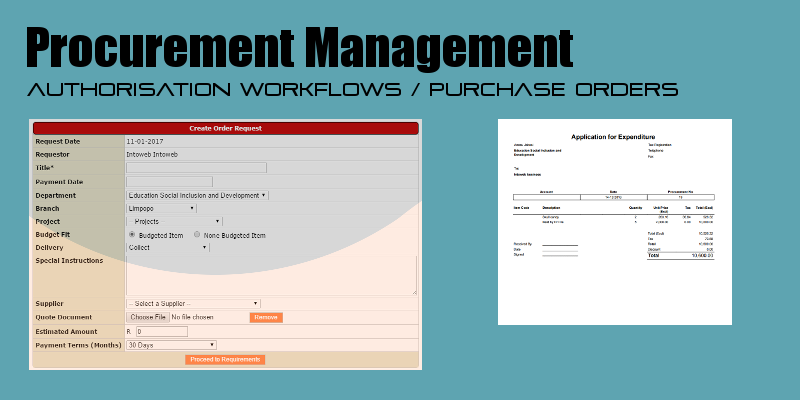 Creation of new invoices is simple and automatic features ensure that the correct template is always used. The Intoweb Payroll software system provides employee salaries: PAYE, UIF, SDL. It also provides for fringe benefits, garnish orders, bonuses, commission, leave pay and internal deductions such as medical aid, pension fund and refunds to name but a few. Generate payslips per employee per department /company. The payroll integrates with FNB, ABSA, Standard Bank and Nedbank. Automatic updates to SARS and much more.